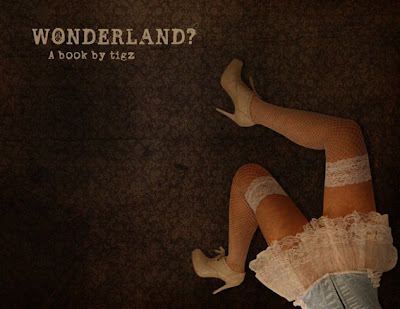 Artist Tigz Rice is self-publishing a book which is a story about a young girl's experiences with cocaine addiction as seen through the Wonderland looking glass. It is available here on her Etsy shop. LA Weely has NSFW Slides of a Alice in Wonderland themed burlesque and cabaret show at Bordello in Los Angeles. Previously: Was Lewis Carrol on Drugs? This is a surprisingly thought provoking and moving book! I bought it a couple of weeks ago.